If we go far enough backwards into the history of Western ‘culture’, we usually come to a stop somewhere around Iliad and Odyssey. Homer’s two epics formed the complete curriculum for at least 1000 years of Greek education (paideia), and obviously still speak to us today. For the Greeks, Achilles and Odysseus were the most excellent models of arete–virtue and courage in the face of adversity, being the best you can be. The poet Archilochus, writing perhaps only 100 years after Homer, is attributed with the saying, “the fox knows many things, but the hedgehog knows but one big thing.” It is possible to imagine Achilles as a ‘hedgehog’, a super-human who has mastered the art of killing (surpassing even the gods in his terrible skill). Odysseus, on the other hand, is the archetypal ‘fox’–king, warrior, mariner, farmer, builder, athlete, clever liar, and cunning cheater (once again, even getting the better of the gods in these last two aspects). The Greek phalanx formation, wielded most perfectly by the Spartans, Thebans, and finally Macedonians, was obviously a ‘hedgehog’ in reality as well as metaphor. I think it is fair to also classify the Roman legions into the ‘fox’ camp, constantly appropriating new tactics and weapons and evolving for every unique situation. The implication from Archilochus’ aphorism seems to be that the single powerful trick of the hedgehog will always prevail over the many clever tricks of the fox. There is no way to really make such a general conclusion, as the circumstances in each individual case usually tip the balance one way or the other. The main idea of his essay followed with a literary discussion of Tolstoy’s theory of history in War and Peace. Berlin described Pushkin as an “arch-fox”, the greatest of the 19th century; Dostoevsky is “nothing if not a hedgehog”; all Russian writers could therefore be placed at one or the other end of this spectrum…except Tolstoy. The great novelist had, according to Berlin, the natural gifts and achievements of a fox, but believed himself personally to be a hedgehog. 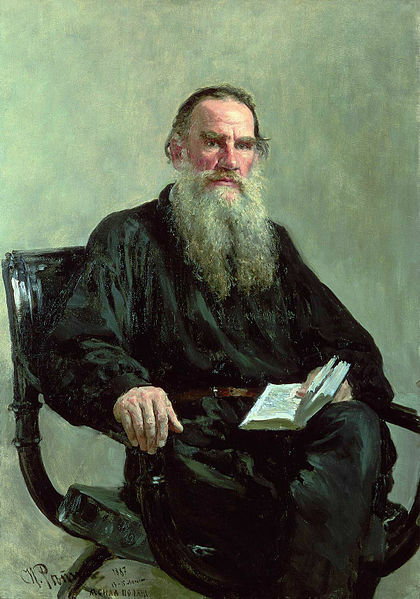 This can be seen in the sense of disconnect between the universality of Tolstoy’s works (what has ever surpassed War and Peace for comprehensive description of the human condition and experience? 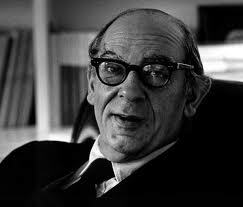 ), and his own personal moral crises and later rejection of much of Anna Karenina. By the end of his life, his farm at Yasnaya Polyana had become a religious shrine for his anarcho-Christian disciples. As you might imagine, the analogy is flexible and can be used to differentiate people or concepts within almost any field. In a book about America’s founding fathers, historian Joseph Ellis has noted that George Washington was an archetypal hedgehog: his one big idea was that America’s future rested on its independence from European affairs and focus on developing westward. Presumably, Thomas Jefferson could be categorized as a fox. Stephen Jay Gould, the late great paleontologist, wrote a book (published posthumously in 2003) entitled The Hedgehog, the Fox, and the Magister’s Pox. His purpose was to attempt to reconcile what he saw as a growing conflict in the academic realm between the sciences and the humanities. He traces four historical stages in which the ‘Science Wars’ have been falsely characterized by opposing sides. One such example is the late 19th century’s academic debate between rationalism and religion, a debate which continues today in America as some intractable school districts continue to fight against the teaching of evolution. Gould introduced the concept of ‘Non-Overlapping Magisteria’ (NOMA) between science and religion, in which argues that the two do not overlap: science seeks to record and explain the factual nature of the natural world, while religion raises spiritual and ethical questions about the meaning and proper conduct of our lives. It is my opinion that this attempt at reconciliation is well-intended, but fallacious–religion thrusts itself into scientific debates, and rational philosophy can be used just as well to seek answers to spiritual and ethical questions. In conclusion, the hedgehog and the fox is more than a historical exercise or an academic diversion. We can use these conflicting perspectives to examine ourselves and our own place in the world. Do you feel that there is one great central idea that gives purpose to your life, and the universe? Or do you believe that there is endless variety, not only in human knowledge and experience, but in the physical workings of the planet and the cosmos? Even if no philosopher has ever found answers to these questions (or any found the right questions), there is a reason we are still asking them–we still need to find order and meaning in a disordered world. Things would be better if the hedgehogs learn more about the foxes, the foxes learn more about the hedgehogs, and maybe both learn one or two skills (or beliefs) from the other.